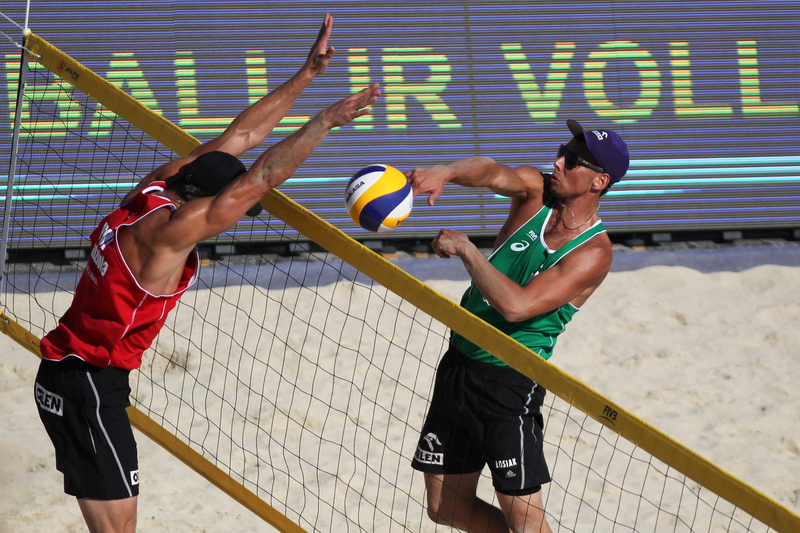 Kish Island, Iran, February 19, 2016 – Jefferson Santos and Cherif Younousse claimed their first ever FIVB Beach Volleyball World Tour gold medals when they beat Oleg Stoyanovskiy and Artem Yarzutkin in the final of the inaugural Kish Island Open on Friday. Both teams were appearing in their first World Tour gold medal matches and it was the Qataris who prevailed, beating the Russian pair 2-1 (21-13, 14-21, 15-12). Jefferson and Cherif had to fight back in the tie-break after Stoyanovskiy and Yarzutkin took the early initiative, but a well-timed time out allowed them to rediscover their rhythm and Cherif’s block brought up match point that Jefferson capitalised on with a powerful spike. Prior to their run on Kish Island Jefferson and Cherif’s previous best was their quarterfinal finish at the Netherlands 2015, FIVB Beach Volleyball World Championships, while the 19-year-old Russians are in only their third year on the World Tour. 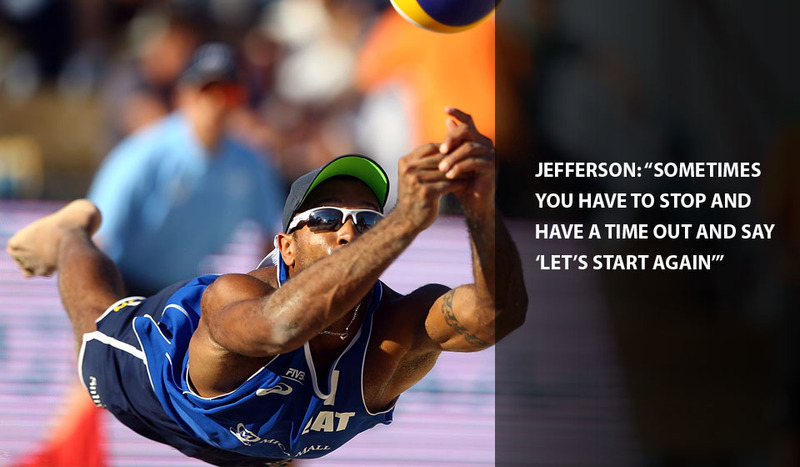 Jefferson and Cherif teamed up at the very end of 2013, but have maintained their momentum and belief from the World Championships to break through as the first Qatari team to win a World Tour medal. Earlier Bartosz Losiak and Piotr Kantor defeated their compatriots Michal Kadziola and Jakub Szalankiewicz to win bronze and claim their first medals of the 2015-16 World Tour. The pair were dominant at age-group level and won World Championships at U19, U21 and U23 level. They have started to make their mark since joining the World Tour fulltime and can now add Kish Island bronze to the silver they won at the 2015 Stavanger Major Series event. The Kish Island event was the first of the 11 Open tournaments to be staged by the FIVB in 2016, following on from Open events in Puerto Vallarta, Antalya and Doha in October and November last year, which heralded the start of the 2015-16 season. Qatar will host a second Open event in Doha from April 4 to 8. The 2015-2016 beach volleyball calendar also includes five Grand Slams, three Major Series stops and the second edition of the Swatch FIVB World Tour Finals. The beach volleyball tournament at the Rio de Janeiro 2016 Olympic Games which will take place on Copacabana Beach will be the highlight of the 2016 calendar.